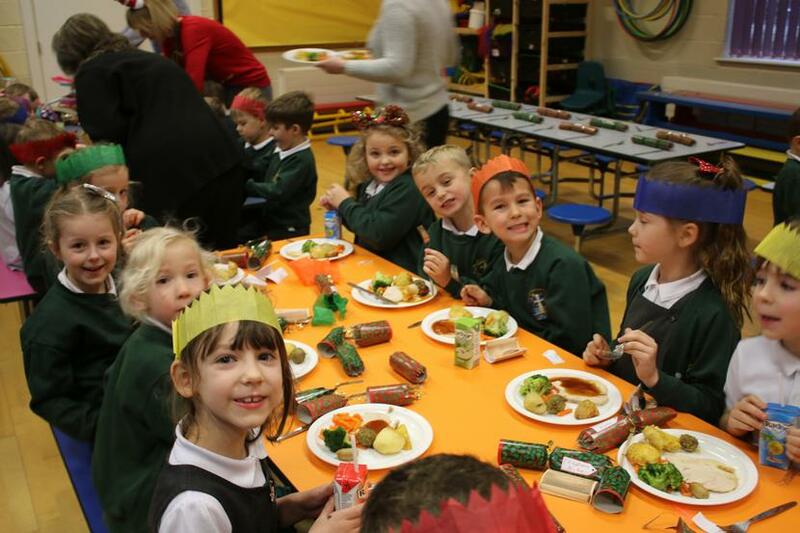 What a lovely Christmas lunch we had today. 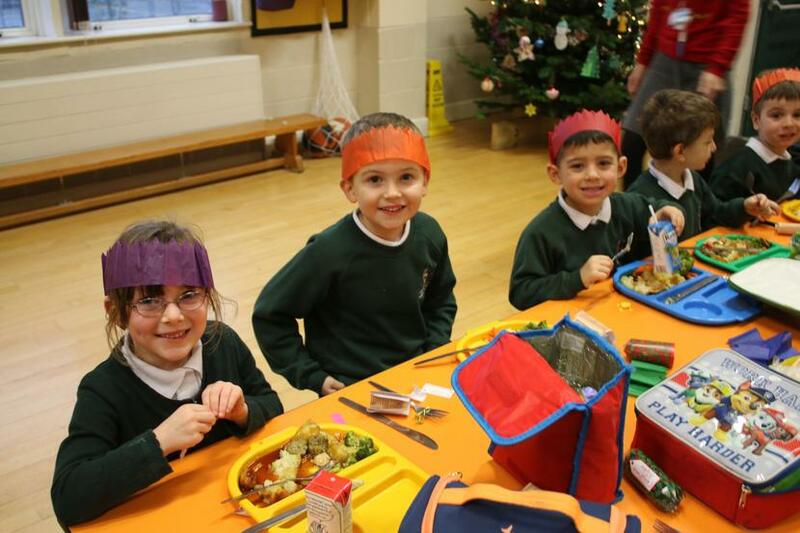 We looked after our Meal Time Assistants by serving them dinner for a change and letting them sit and eat together. 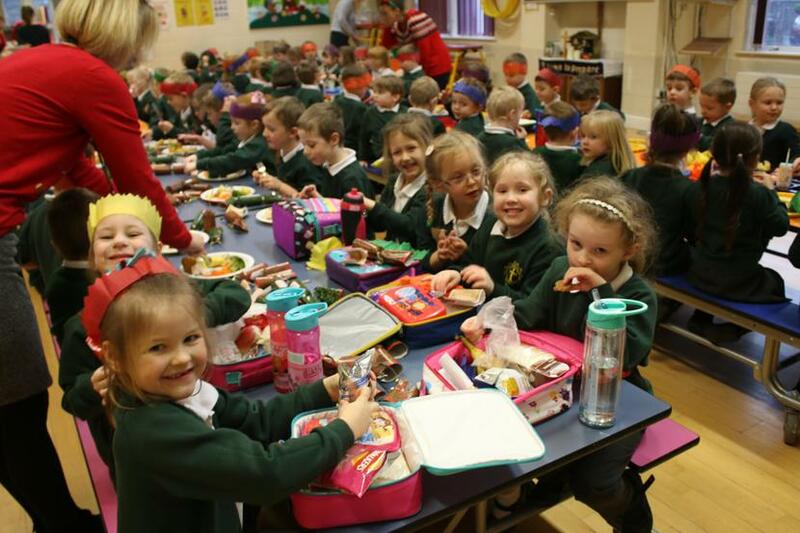 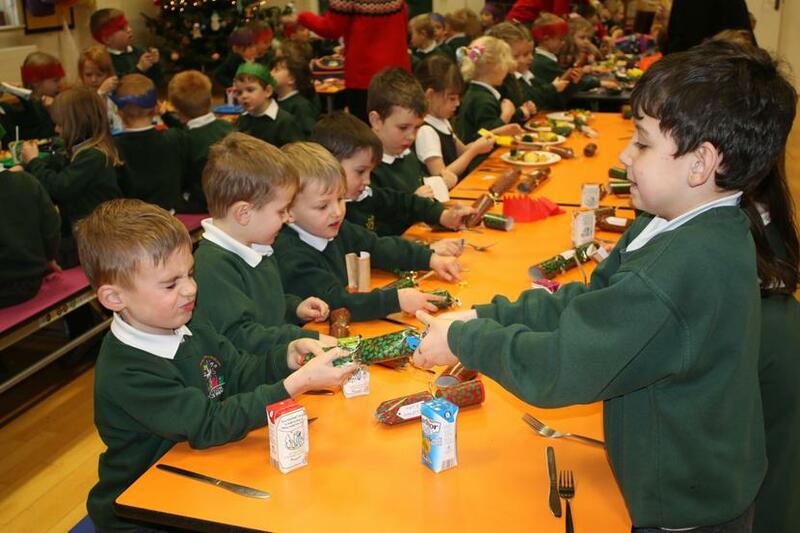 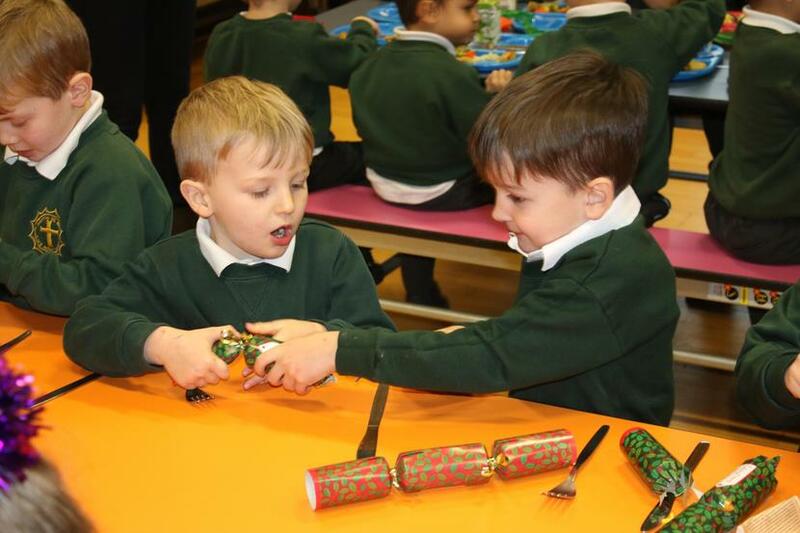 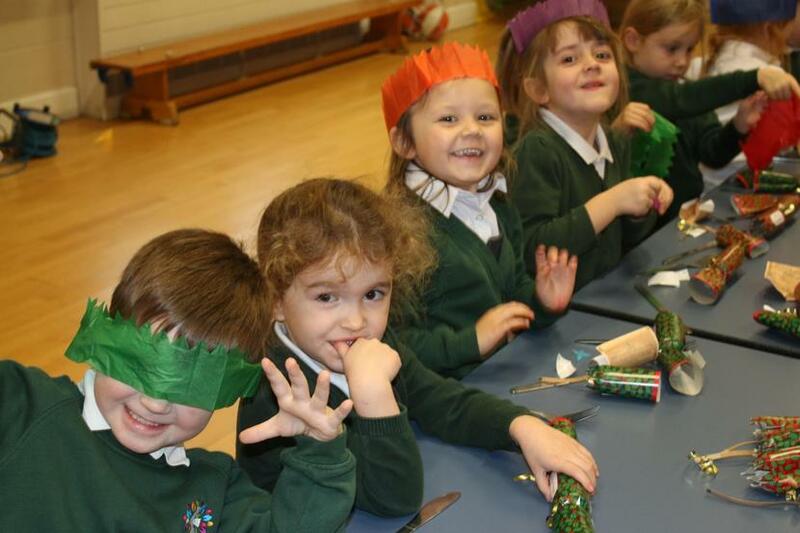 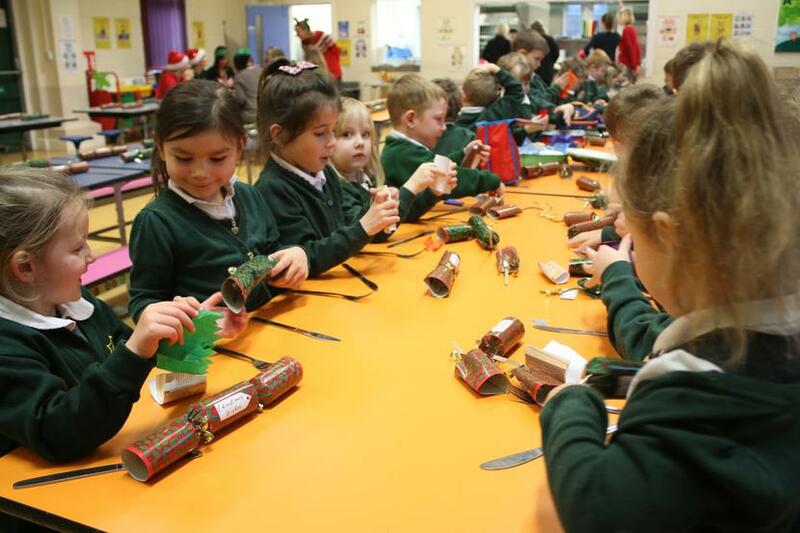 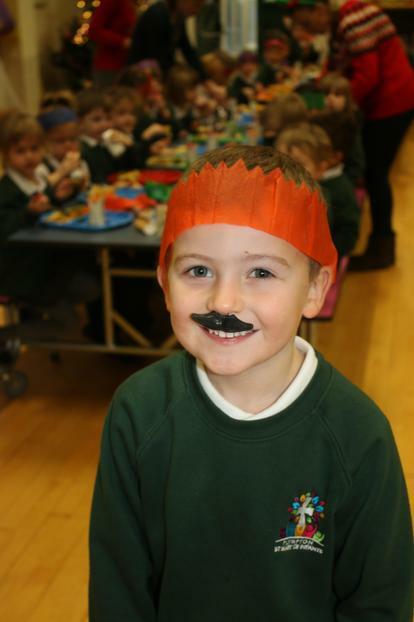 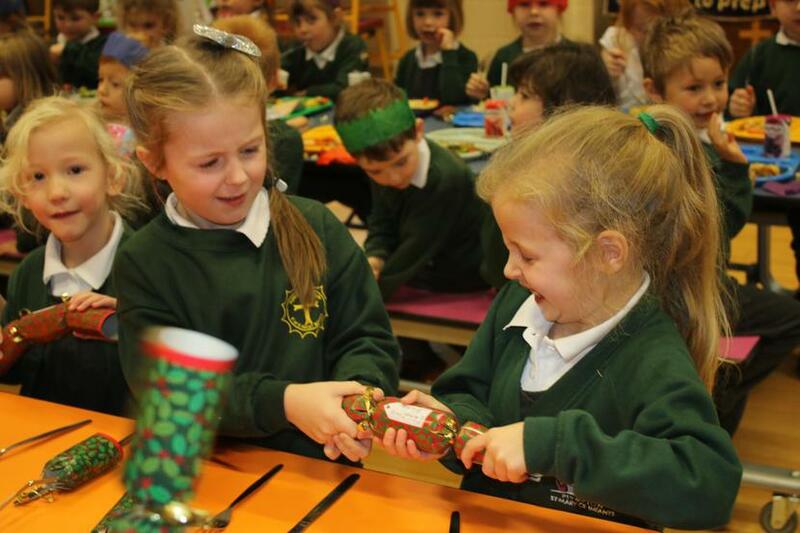 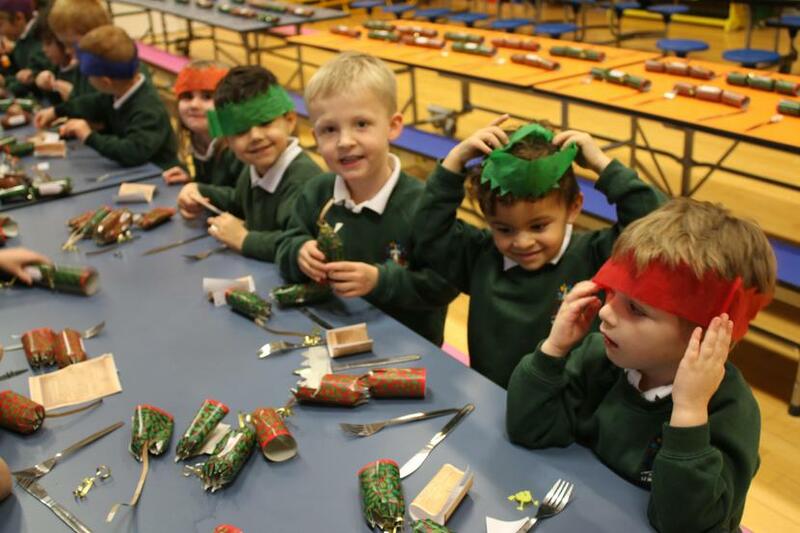 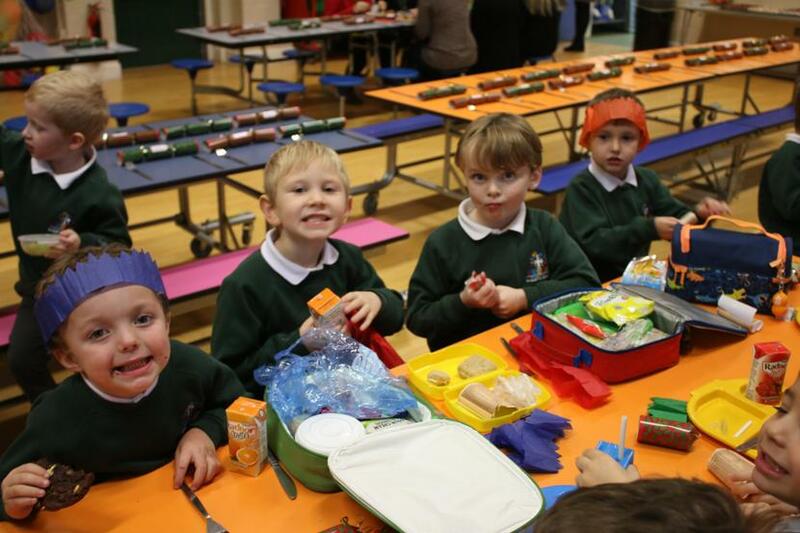 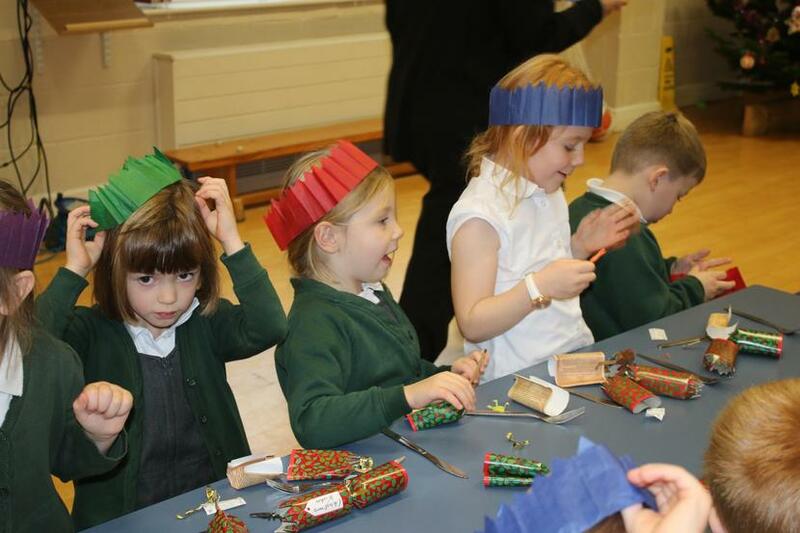 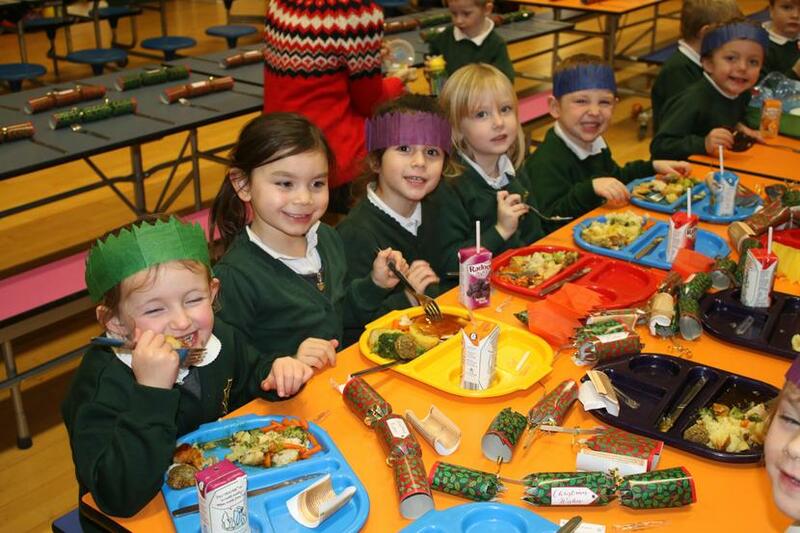 EYFS and Year 1 then came in for their lunch. 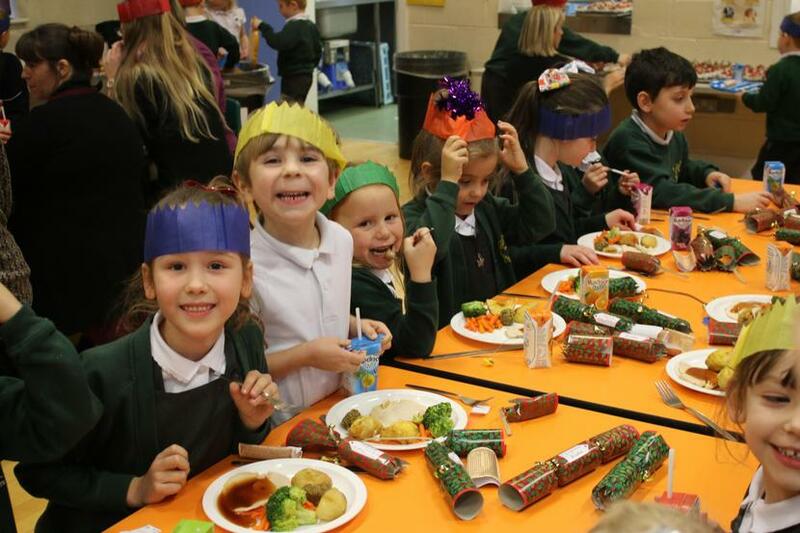 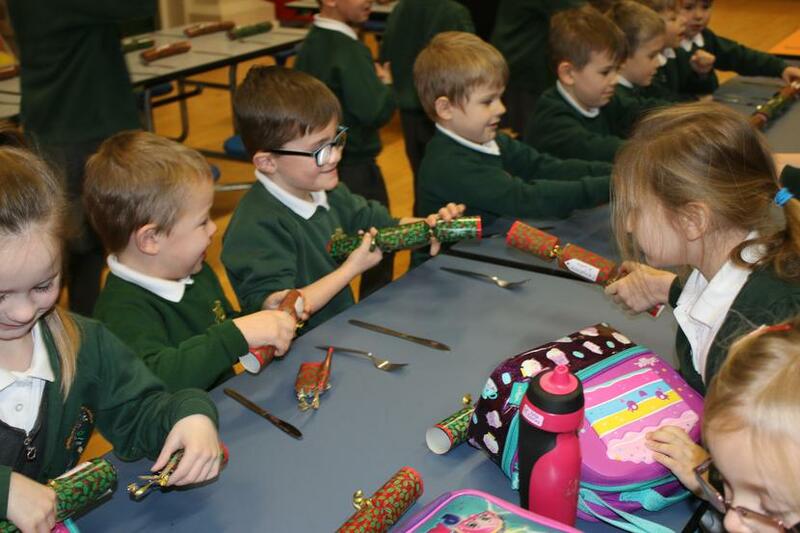 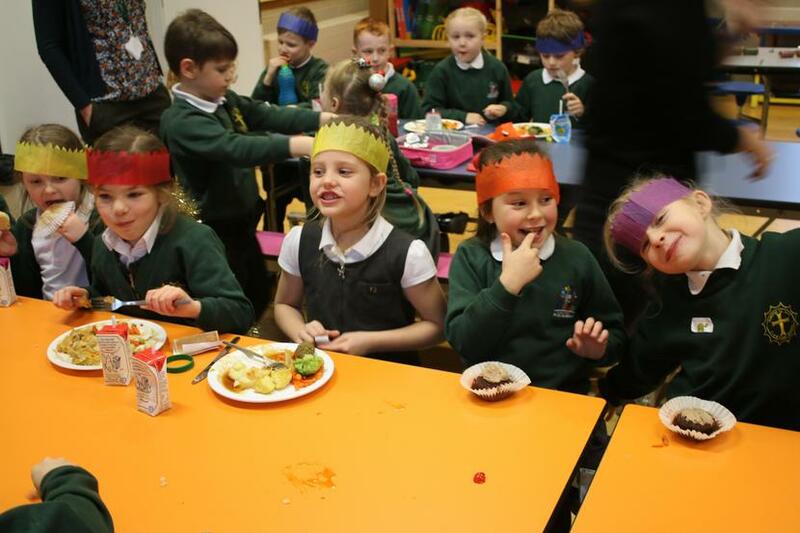 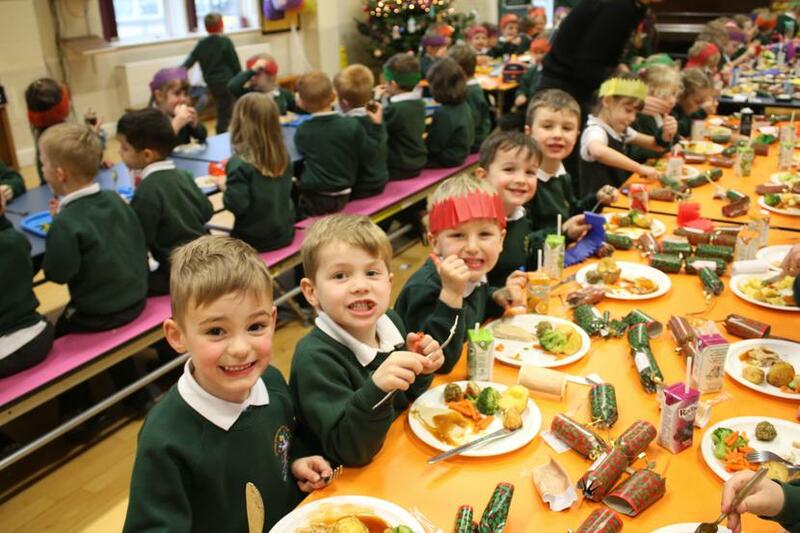 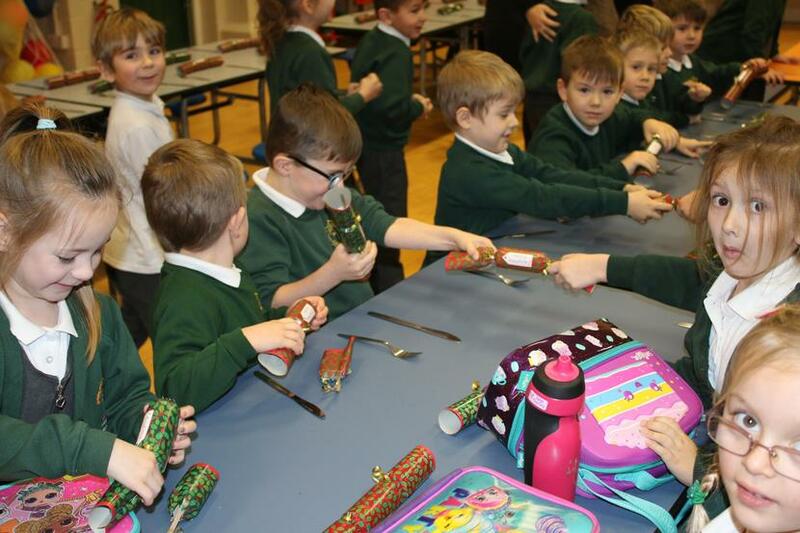 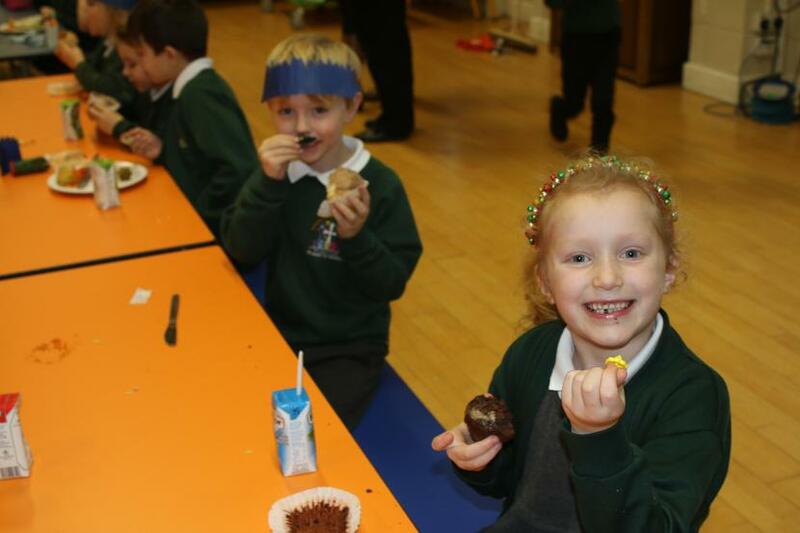 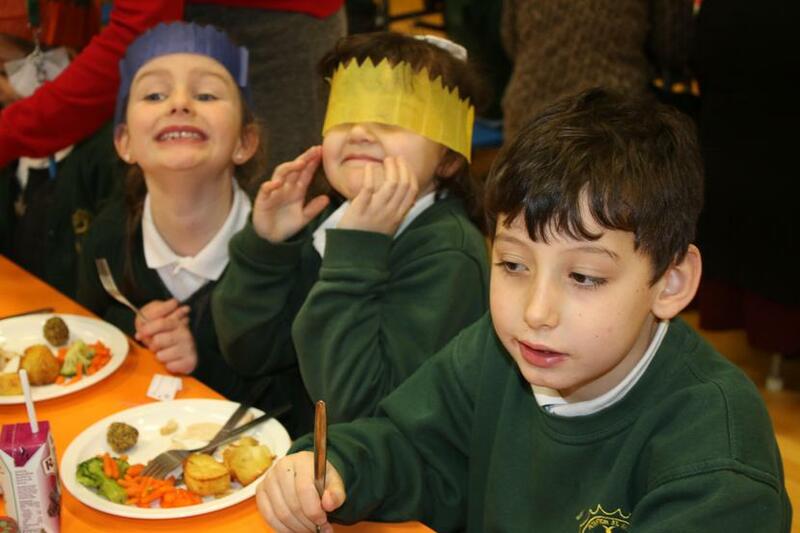 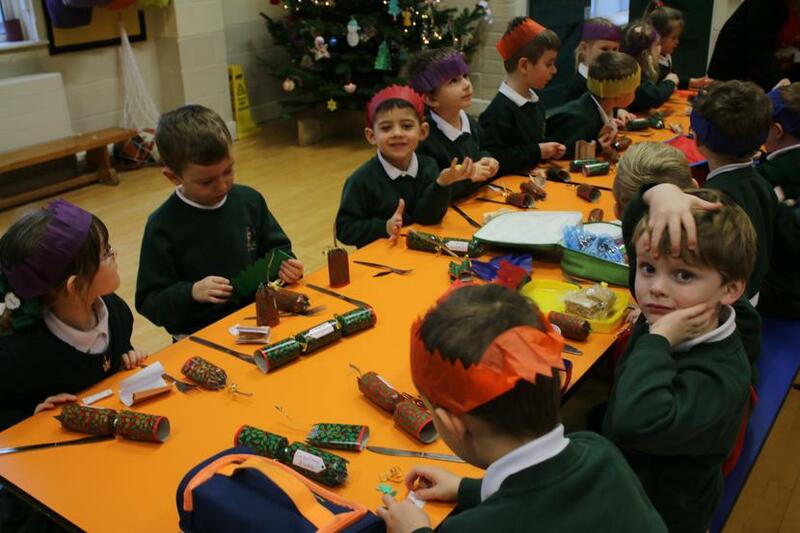 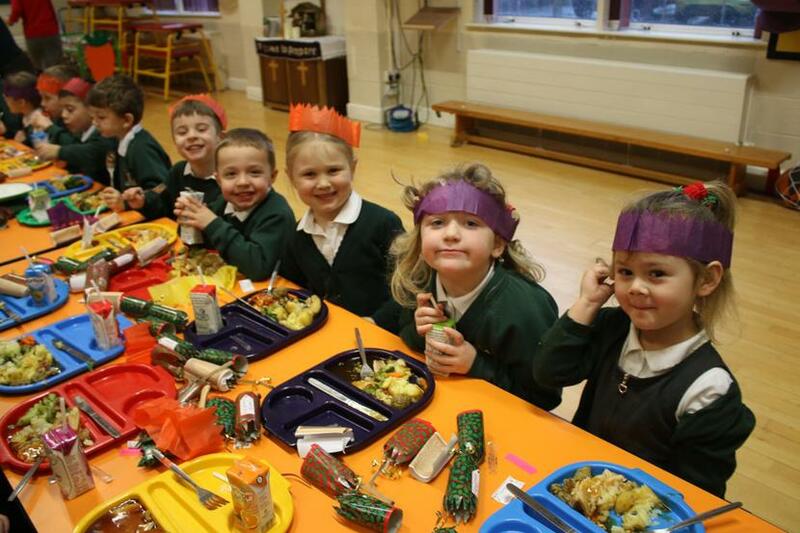 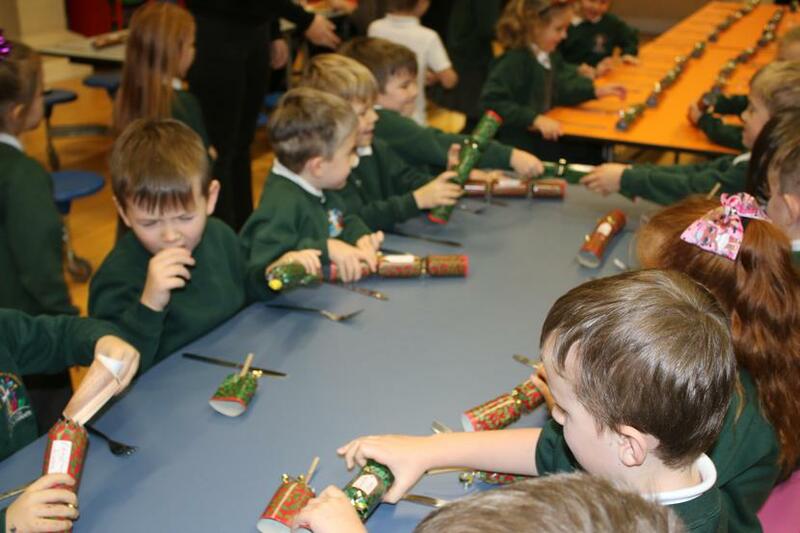 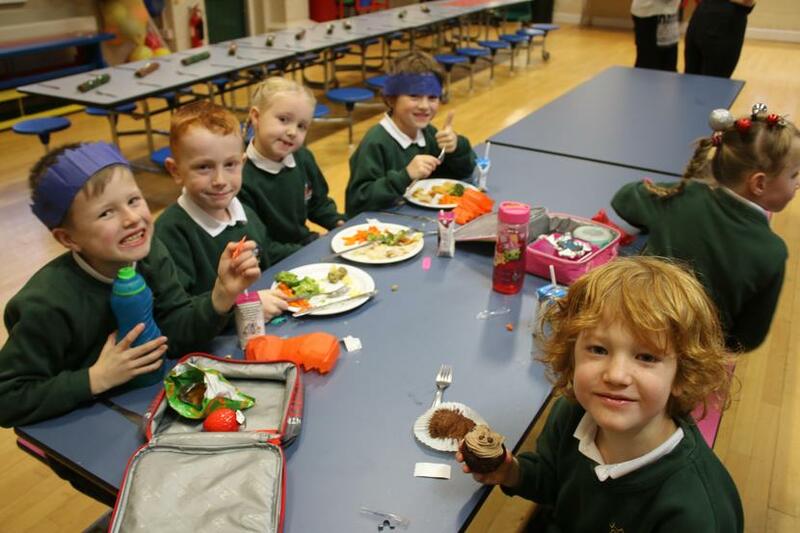 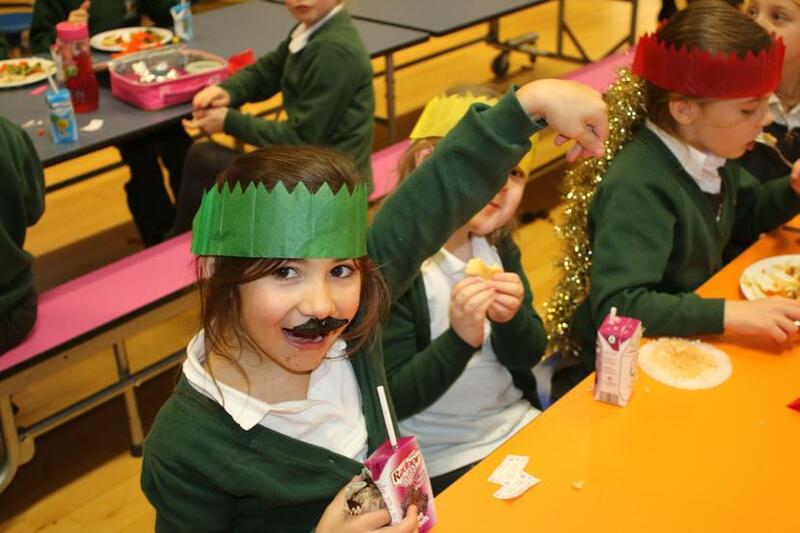 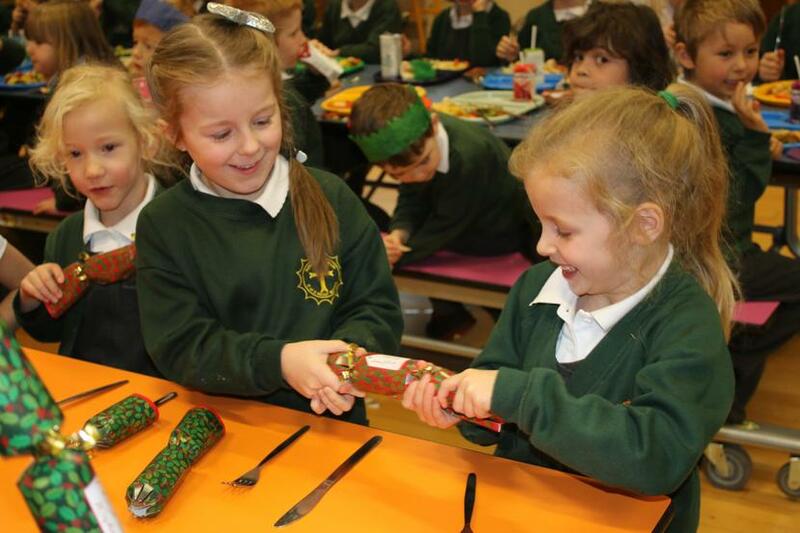 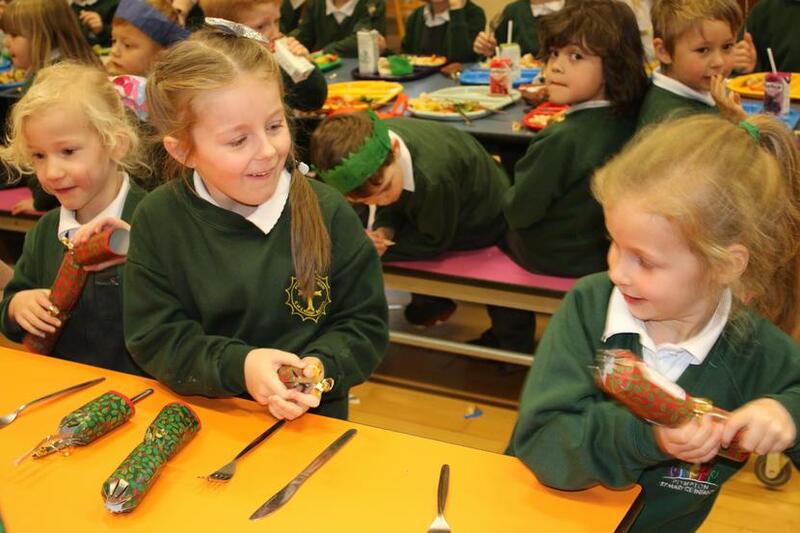 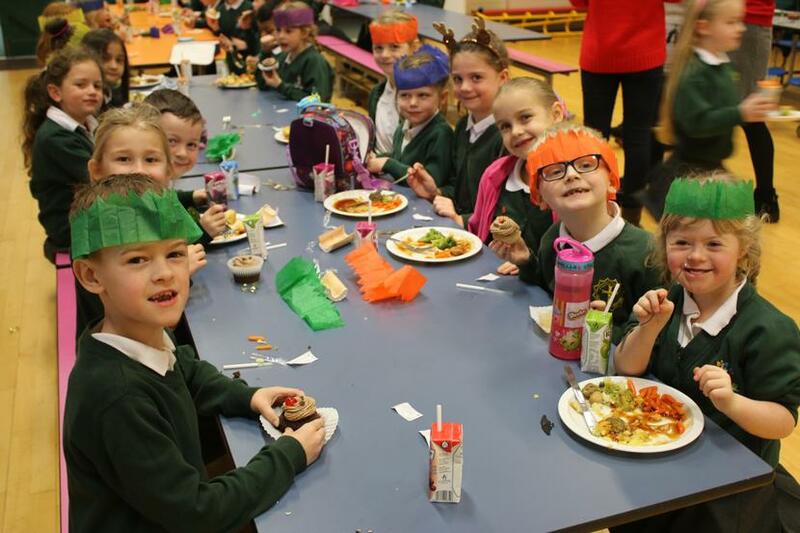 Sadly, it got so busy that by the time the camera got to Year 2 they had eaten most of their lunch but I am sure you can see that they had fun. 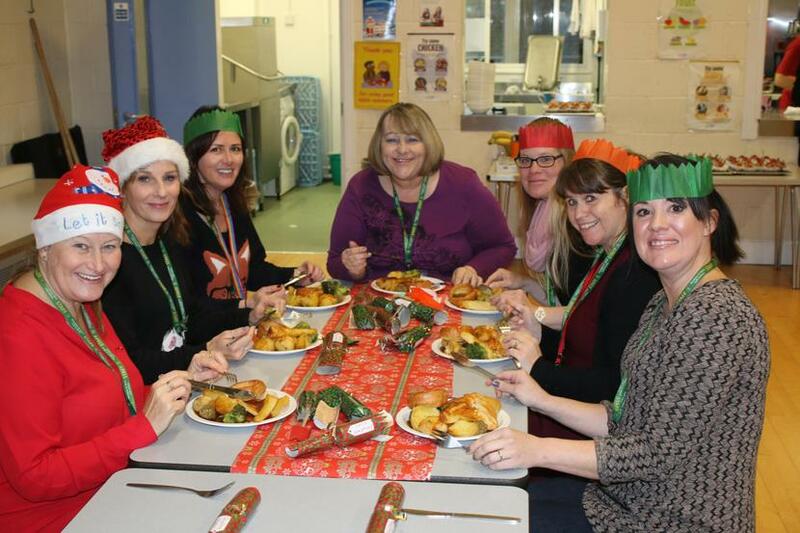 After all the MTAs and children had finished eating, the staff team sat together to share lunch which isn't something that happens very often! 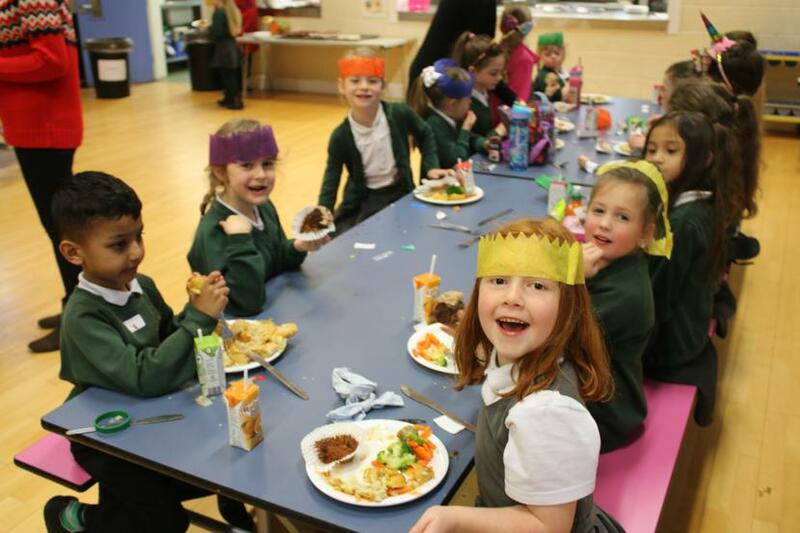 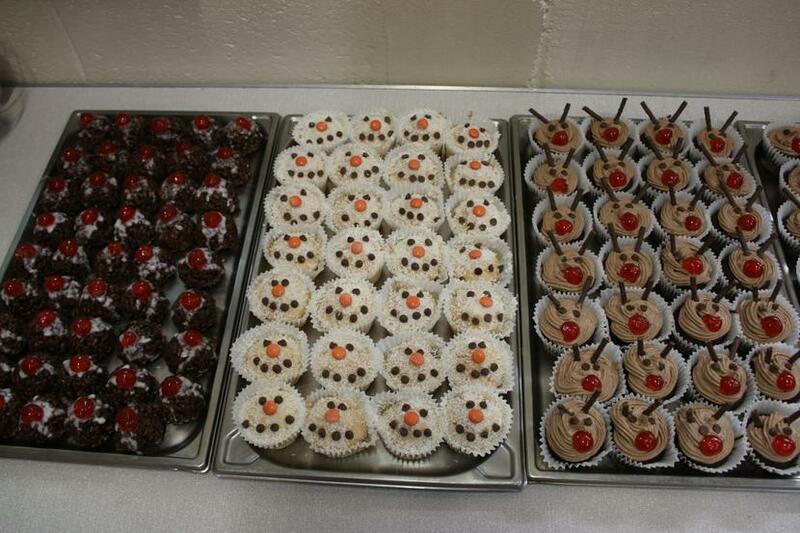 A huge thanks to Beckie, Alyson and Nicky in the kitchen who cooked up a feast!